The most important part of writing is writing (followed by rewriting), but there are some days when I just need a visual to get the wheels turning… having only recently (!!!) discovered how to share my pins on WordPress, I think it’s high time I give you all a glimpse into the world I’ve been imagining for the last 4 years (yes, it’s really been that long). Anúna (or, as I have finally started calling it, Crown of Ice, Crown of Air) is a fantasy set in this world and the Other. It is a story of elemental magick, rivalry, and war, but it is also a story of love and finding something worth fighting for. I’ve been thinking about this world for a long time and I hope to one day share it with others (#writergoals). Finally completed the pin it, do it challenge for October 🙂 . 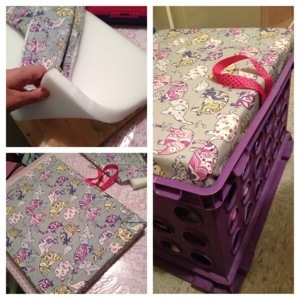 My last project was a crate seat cover. I had to make plenty of adjustments to this one, mostly because the instructions were to make 8 matching crates, whereas I only needed to cover 1 crate. I also had some mishaps with wood and staples… Had to beg my dad for a scrap piece of wood because I learned that lumber is darn expensive unless you have a major project that you want to complete. Also, my dad’s staple gun didn’t work, so I had to make do with a glue gun. It works. Nothing fancy, but now my tbr pile is nicely covered. I will do this. 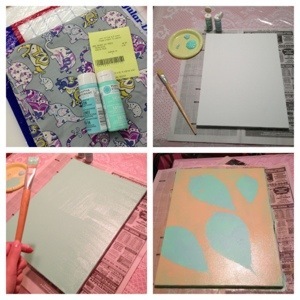 A Pinterest challenge for October from Love, Laughter, and a Touch of Insanity. I will do at least 1-3 things that I have pinned on Pinterest. 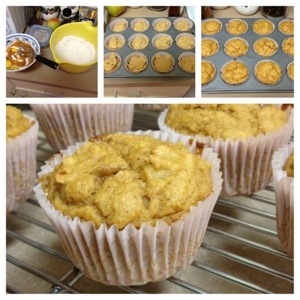 Healthy Pumpkin Muffins from No Sugar Sweet Life to ring in pumpkin time! Wall art idea using some mini canvases I bought a couple of months ago. A crate seat using an old purple crate that I have for the TBR pile. Tutorial from Ginger Snaps.